Are you looking for a suitable reception area in attractive surroundings for your private events, weddings, birthdays, seminars or theme weekends in Marrakech? We have selected 5 large luxury villas for your unique and friendly stays. In the heart of the Palmeraie at Douar Abiad, Villa Marrakech 128 offers avant-garde architecture inspired by Luis Barragan with high-standard services adapted to children. With 22 rooms and 22 bathrooms including 15 air-conditioned suites, it displays a decoration of extraordinary objects. In addition, it can accommodate up to 300 people in the middle of a large private garden of 2 hectares planted with olive trees, palm trees and contemporary sculptures. You will find a 5 star hotel service of excellence with house staff at your disposal to make your stay a pleasant one. In addition, the estate also has a private restaurant with a capacity of 50 people, a spa, a tennis court with clay court, a hammam, a gym and a conference room. For your moments of relaxation, you can rest in a charming library, on the terraces of the property or in front of a movie in the cinema room. 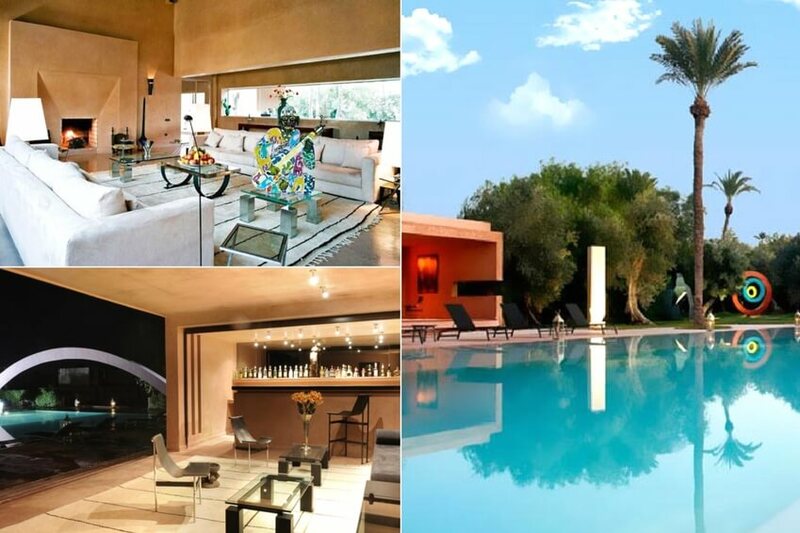 Only 10 minutes from the centre of Marrakech, this property with 2 heated pools, a pool house and other surprises to discover is close to 3 renowned golf courses. 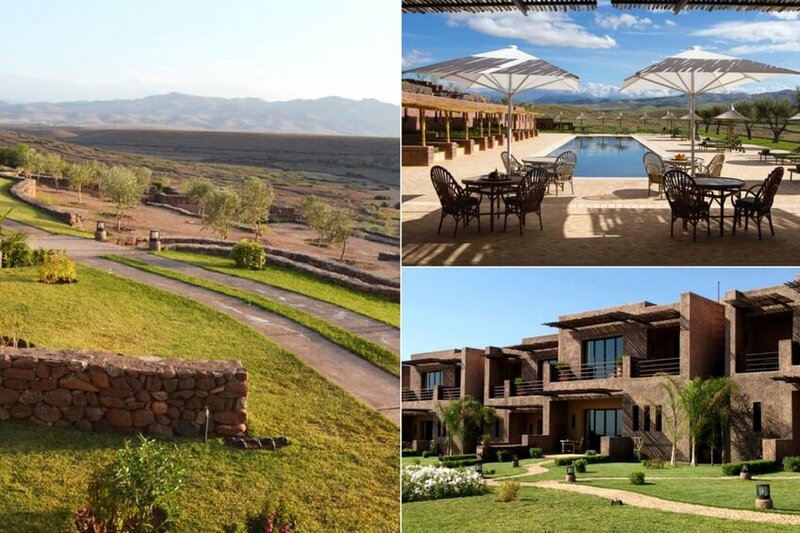 Facing the Atlas Mountains, this beautiful property offers an exceptional setting for your stay. 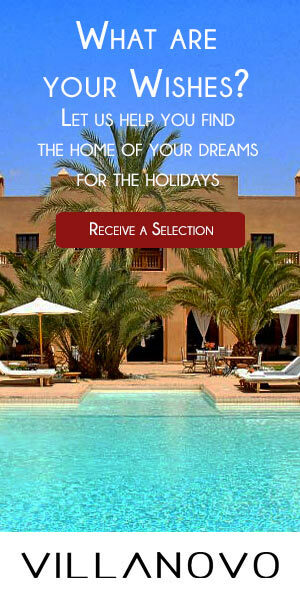 Only a few kilometres from Marrakech, it has a plot of 4 hectares with luxury services. Indeed, decorated by Ludovic Petit, the living spaces are pleasant and the views remarkable. Accommodating up to 32 people, it offers 16 bedrooms and 16 bathrooms with beautiful common areas. You will find in particular a swimming pool area, a pool house, an indoor Jacuzzi and for more relaxation a spa and hammam. Below, the farm and its animals will delight the little ones. You can also enjoy the table service with its staff. In an architecture combining traditional and contemporary, escape into the splendid Riad Isla to share with friends or family. Located in the district of Sidi Ben Slimane and, not far from the tourist sites such as the Museum of Marrakech, the Ben Youssef Madrasa, the Jemaa El-Fna place or the souks, the property is majestic and decorated with taste. At the heart of its 3 patios, discover beautiful banana trees, a beautiful fountain that flows into a central pool or on top of these jewels, enjoy the heights of the city from the large terrace for sunbathing and incredible views. 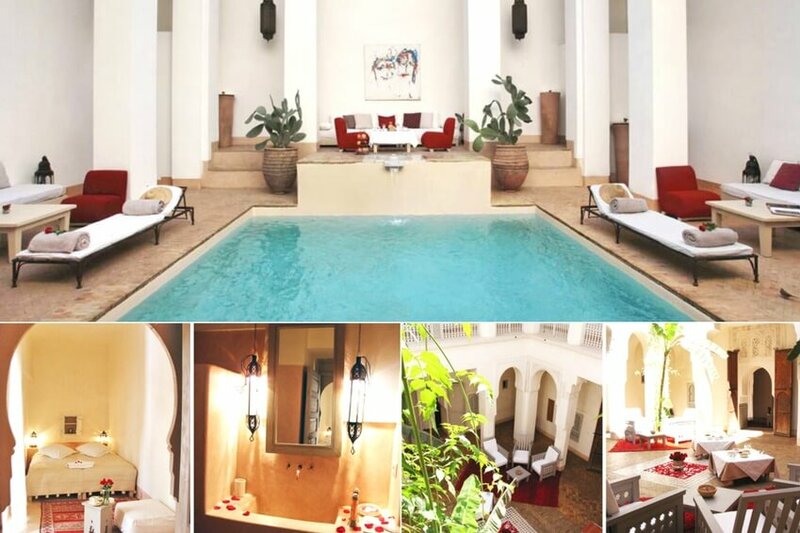 As a bonus, this property offers you a moment of well-being in the hammam in tadelakt. 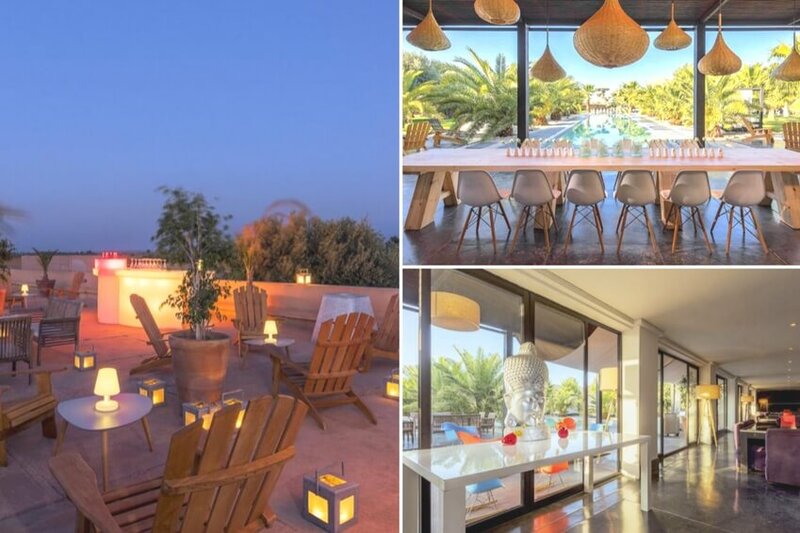 All in discretion and exclusivity, the beautiful Villa Palmeraie 32 is the ideal place for your receptions for up to 34 people in a traditional decor. With a high quality service, it consists of a villa decorated in a 1930's style with furniture belonging to the Mamounia, two lodges and three Berber suites and large Moroccan tents on the outside. Enjoy a beautiful heated lagoon pool of 110m² with a view of the park planted with palm trees or bougainvillea fuschia facing the Atlas from the many shaded terraces of the field. Inside, you will discover beautiful colonial and contemporary furniture with beautiful old paintings. In addition, its traditional hammam and gym will surely seduce you. After having covered a track of 1km, you will come face to face with a beautiful property of exception close to Marrakech. Villa Om gives a breathtaking view of the snow-capped Atlas mountains and the canyons of the Agafay Desert. At the heart of this treasure of luxury, design and Moroccan materials, you will enjoy a unique stay under the olive trees of the large garden. In the expanses of greenery, it is nice to rest in the canopies of the private gardens of most lodges of the villa with a view of the heated pool of 25m near the pool house of 200m². A range of activities are also waiting for you around the property: the Royal Palm Golf Course, Assoufid and Samanah, the Lake of Marrakech, the Aqualand Oasiria for the youngest or charming typical Moroccan villages. And, after your excursions, let yourself be tempted by the eucalyptus-scented hammam.